This November, the Big Assembly has an engineering spin to help young people take their ideas, passions and dreams and turn them into engineering careers. 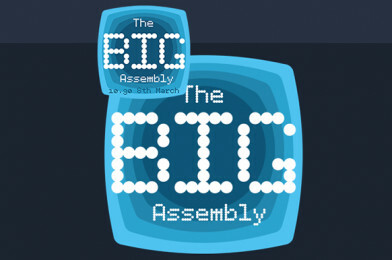 Tomorrow’s Engineers Week: Big Assembly is a live video stream to thousands of students across the UK wanting to find out how engineering impacts on the issues they care about, such as saving the environment, animal welfare, staying safe, health and entertainment. 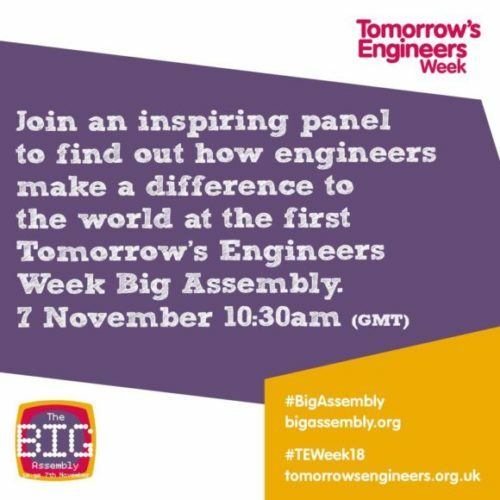 Brought to you during Tomorrow’s Engineers Week (#TEWEEK18) (5th– 9th November 2018), the first industry focussed Big Assembly aims to get thousands of people online at the same time to learn about how the engineering industry affects them. Schools, young people, parents, careers advisors and employers from across the nation are invited at 10.30am, on 7th November 2018 to take part in Tomorrow’s Engineers Week (#TEWEEK18).